Men's Physique - $$$$ for the future of the Sport? Thread: Men's Physique - $$$$ for the future of the Sport? Musclechemistry Site Representative PHD in P.E.D. The single biggest thing that I believe has held bodybuilding back from becoming a mainstream sport, is that most people in the mainstream don’t want to look like that. I love bodybuilding; you love bodybuilding; but we’re a small community – very small! If the sport had continued on, without changing, arguably since even before the introduction of fitness and/or figure, it’s highly unlikely we’d be where we are today. For all the complaining from critics who say shows take too long and there are too many classes, it’s that which they protest, that’s created more opportunities for all parties involved. Large fitness expos, like the Olympia, Arnold, & LA Fit Expo. draw significantly more people as a result of variety in the physique-based divisions. Most people in the gym today, may not necessarily know who the top bodybuilder is, but they know pretty much all the MPD, Figure, and Bikini competitors. People buy based on what they like, they train towards looking like what they like, and they tend to listen (very attentively) to those who have reached the goals they’ve set for themselves. If there weren’t more divisions, more different looks, then it would become very difficult for an aspiring bikini competitor to follow in the footsteps of a 260lb, ripped to shreds bodybuilder. Now that we’ve established the legitimacy of different looks, the next question, and the basis of this article is upon us. With regards to the women, I think it’s safe to say that figure and bikini dominate the landscape. In terms of amateur competition, Fitness is dying at the local level, with women’s bodybuilding not too far behind. Women’s Physique is promising at larger local shows and regional competitions. For the men, however, it’s Men’s Physique all the way, with Classic gaining major momentum. The question is, is Men’s Physique the future? There’s the future we want and the future to come. No matter what fact says, faith is always a factor. We can believe bodybuilding will once again be the driving force. We can believe magazines will one day knock the internet out. 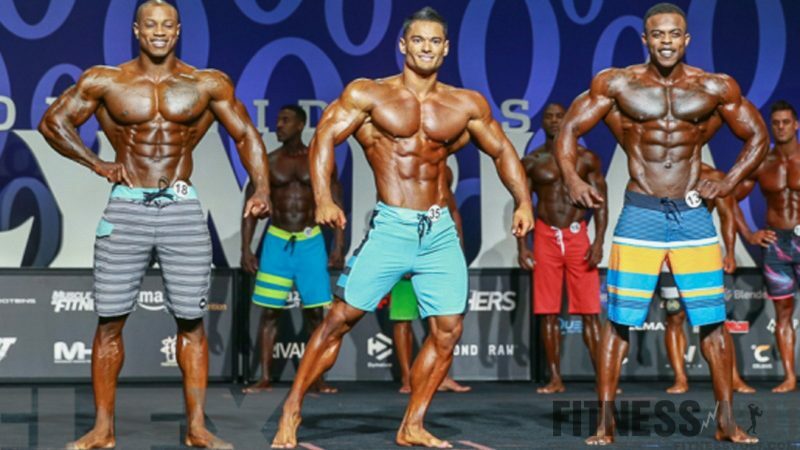 We can even believe that Ronnie or Dorian will somehow make a comeback and win the Olympia. We can believe just about anything we want, but at some point reality must be the name of the game. Pragmatists see the writing on the wall, it’s actually been on the wall for quite some time, and has soaked into the brick. If local and regional promoters had only bodybuilding to work with, we’d have no contests. There simply wouldn’t be enough entries, enough money coming in, and/or enough interest in the competition to sell vendor booths and/or tickets. What a lot of people in this sport fail to recognize, is that without money, nothing works. The same way there’s a nostalgic, largely unrealistic assessment of where bodybuilding (as a standalone division) really is, there’s a similar off-base position that anyone who talks about money is somehow greedy or doesn’t love the sport as much. It’s that kind of naivety and sheer ridiculousness that leads many businesses to the poor house. You can’t be nice in business. Promoters have to pay the bills, they have to keep the lights on. Some divisions, simply make more than others. The question is, are these divisions just fads? Bodybuilding will always be the flagship division and it’s been going strong for over half a century, what’s to say these newer divisions will stay the course? One look at who Hollywood is casting in movies, who corporate America is using in ads, and what the definition of health is looking like, and a picture begins to be painted. Men’s Physique also represents what’s often been called, “an attainable look.” This means that regular men, who eat clean, train, and take natural supplements, can work towards realistic goals – and reach them! As someone who covers contests nationally, I can speak with a great deal of certainty, when I say that the interest in Men’s Physique is as real as it gets. Most male competitors have expressed a great deal of interest in MPD & the fact it’s the smallest (in size) of the three men’s divisions, make the choice require a full commitment. For example, if someone competed in Classic, they could crossover to Bodybuilding (or vice versa); however, the difference in size is so great between bodybuilding and MPD, that competitors are faced with a very distinct choice. Most competitors I know, have chosen Physique. This is a decision I’ve seen repeated in Kentucky, Michigan, and Florida just to name a few. The interest in the division isn’t tied to age, either. It’s pretty much across the boards. Something else has happened, the past couple of years in particular – drama!! Many purists of the sport will say it’s all about muscle, it’s all about aesthetics; however, if Pumping Iron had just been a movie about a group of guys getting ready for a bodybuilding show, it would never have become a hit. Audiences want to be entertained, they want to be in some kind of suspense, and more importantly they want to take sides. Wrestling, for example, capitalized on this. Over the last couple of years, we’ve seen ongoing feuds among the top guys in MPD. Sometimes, these feuds have gotten really negative, really nasty, but they always keep the fans glued to social media, even buying magazines, and sometimes even going to actual shows! MPD seems to have a commanding role for the future. It has the look everyone wants, it has just enough drama to keep it interesting, and now with a new Olympia champion, I can only see it’s staying power increase. Promoters will continue to get a ton of entry fees, athletes will continue to find numerous job offers in the industry, and fans will keep buying products, magazines, and apparel. The money in bodybuilding has always lacked unless you were at the top of the game. Many of these men/women spend more money on preparing for a share than they ever win. This is one of the most dedicated sports in the world, its a true shame the reward is so low.